Urban Geological Map is developed by 3D modeling of geological strata in urban areas, based on borehole logs and other geological and geomorphological data. The web-based application outputs geological maps and borehole data, and will also display 3D geological maps and geological cross-sections in the near future. 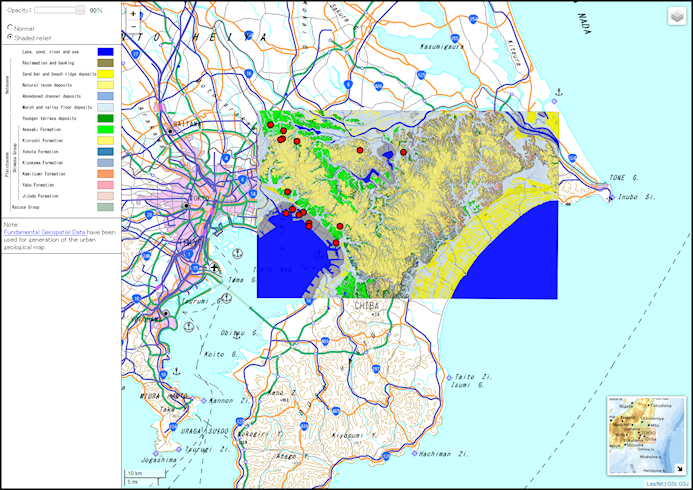 This new style of geological map is under development in a testing area in the northern Chiba area. Contact to GSJ click here.